ProRes RAW was famously announced by Atomos almost a year ago, but has since grown in use and support from other manufacturers. 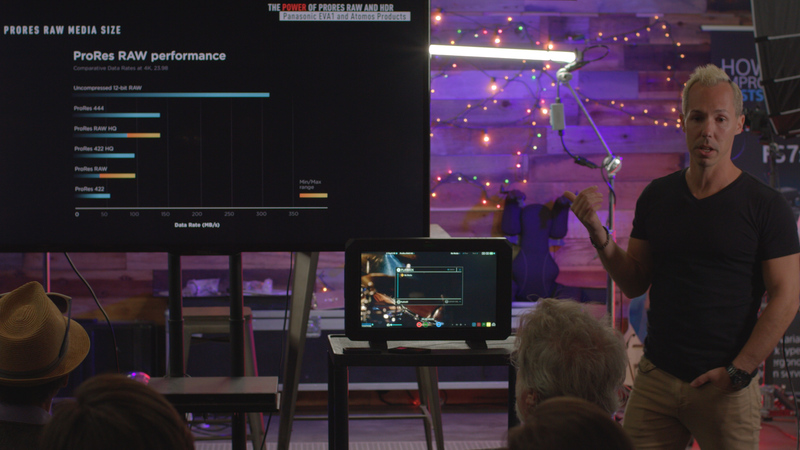 One such camera manufacturer, Panasonic, actually held a workshop with filmmaker Mike Steidly to show how well ProRes RAW works with the Panasonic EVA1 cinema camera. 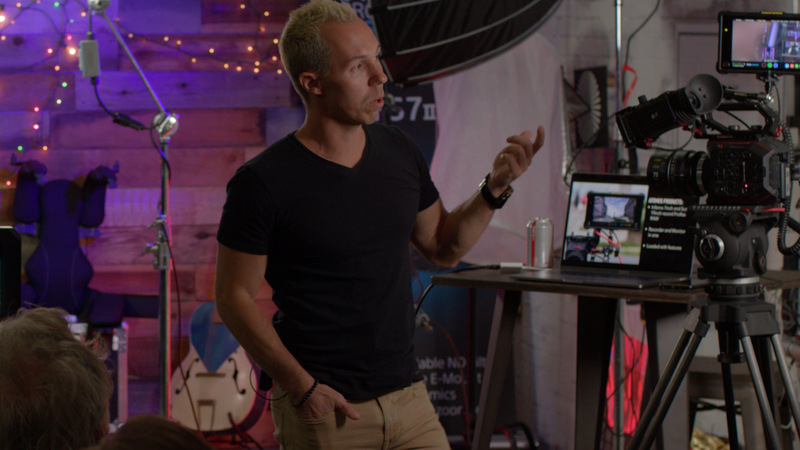 We were at Hot Rod Cameras to capture Steidly’s presentation where he discussed his recent work with the EVA1 and Atomos recorders on multiple projects, as well as how the files work natively in Final Cut Pro X. Housing a high-resolution 5.7K image sensor capable of rendering smooth 4K images inside a compact body, Panasonic‘s AU-EVA1 Compact 5.7K Super 35mm Cinema Camera is a flexible camera system ready for documentary, cinema, and live event production. The 5.7K sensor is used to super-sample internal recordings, resulting in higher resolving images with less noise and artifacting when compared to non-super-sampled recordings. Panasonic’s acclaimed Dual Native ISO technology is also incorporated into this sensor. Dual Native ISO uses alternative circuitry within the sensor, rather than adding gain or shifting the gamma of the original signal output, to increase sensitivity while maintaining a high signal-to-noise ratio. The standard native ISO is 800, which works for most production situations. This can be switched to 2500 when working in dim scenarios. Mike Steidley built a prolific name for himself in the extreme sports world claiming 12 National Mountain Bike Stunt Championship Titles. In that experience he filmed hundreds of videos, commercials and TV appearances. On the other side of the lens Steidley operates Vision which offers everything from ground filming , drones, directing and a full suite of editing and post production. 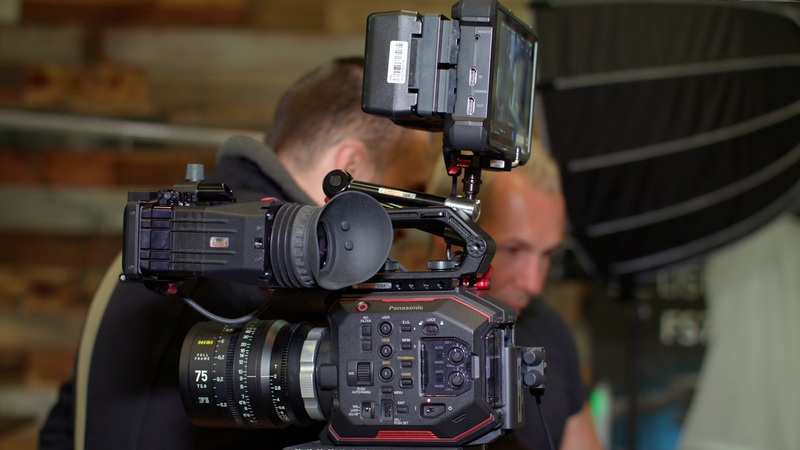 Vision has experience in commercial direction and video production for major brands across the globe.